Been looking for that ultimate collector’s item? Or still haven’t upgraded your day one PS4 because your partner or parents believe the one you have is perfectly fine? 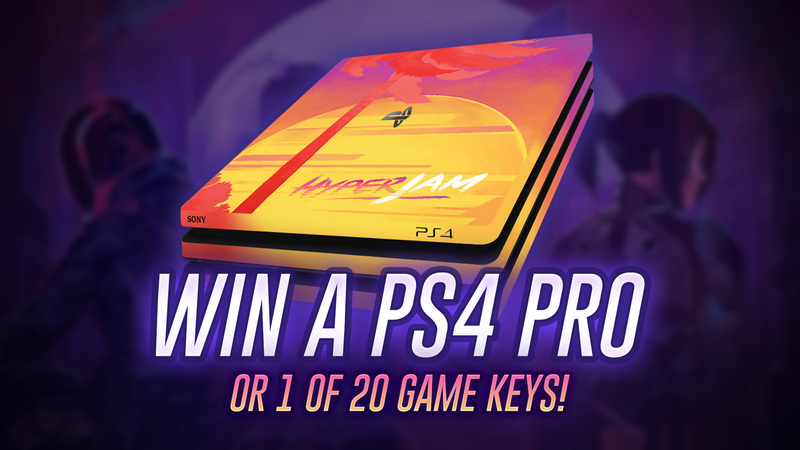 Well our good friends at Bit Dragon are giving you the opportunity to win your very own Hyper Jam-themed PS4 Pro, to which there is only one, as well as one of 20 game keys. Hyper Jam is Bit Dragon’s debut game and it releases this Tuesday (12/02) on PS4, Xbox One and PC. It’s an 80s-themed party brawler that is loads of fun.